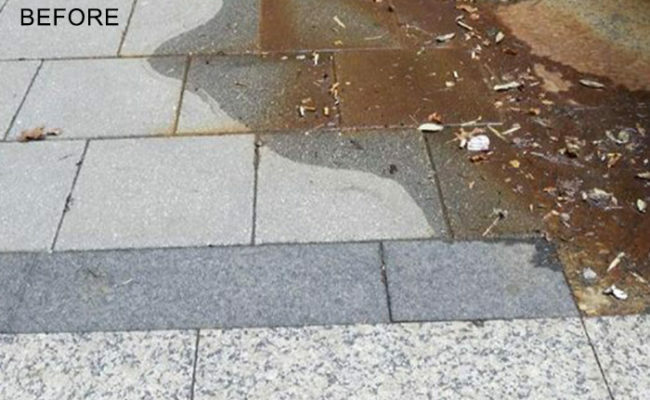 The granite pavers on the outside an office building in Center City, Philadelphia were stained with rust. The property owners waited four years to look for a contractor, because they were very concerned about the expense involved. Our bid was competitive, and after doing their homework, they decided to hire us, citing our professionalism and confidence in our ability to remove the stain. 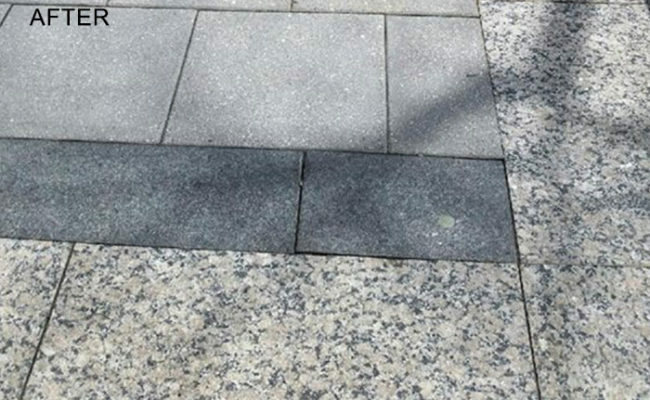 We applied a poultice, a special paste to absorb the stain without changing the color of the granite. After twenty-four hours we removed the poultice and deep cleaned the stone with a powerful, stone-safe neutral cleaner. As you can see, the stains were completely removed. 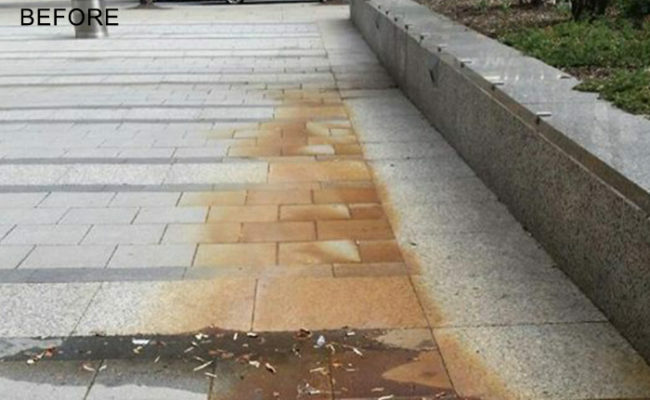 The property owners were very pleased with the outcome and wished they hadn't waited so long to have the stain removed. 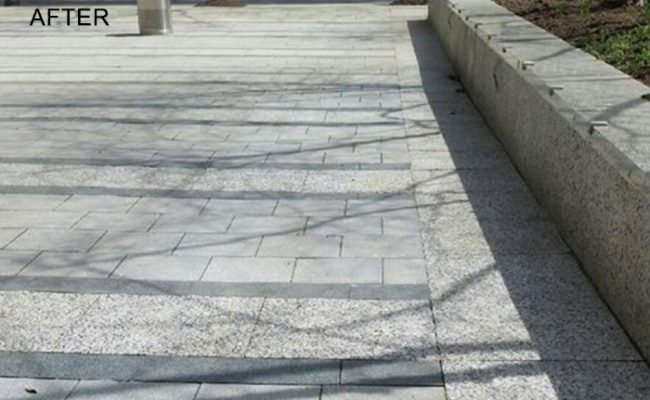 If you have rust stains on your granite, stone pavers or concrete patio/driveway, you now know who to call. We service the Philadelphia and Delaware Valley area. Use our online contact form or call (610) 356-4100 today for a FREE estimate.